505 McKinley St. Built in 1940 by Mr. & Mrs. Robert O. Wesley. Mr. Wesley was the Sales and Advertising Manager of the Daisy Air Rifle Company. When this home was built it was featured in the Detroit News’ Sunday Paper in 1940 and had nearly a full page describing all the details and descriptions of the home and each room. The article featured interior and exterior photos and was described as a “modern adaptation of an American farmhouse”. This home is located in the Hough Park neighborhood and was considered impressive in 1940 and today still maintains a look and appearance that is not only impressive but one to be admired. As a result of the Air Rifle industry in Plymouth, this home was built with a sense of class and ornate details that have been well preserved and is sure to be a great part of Plymouth’s history for years to come. 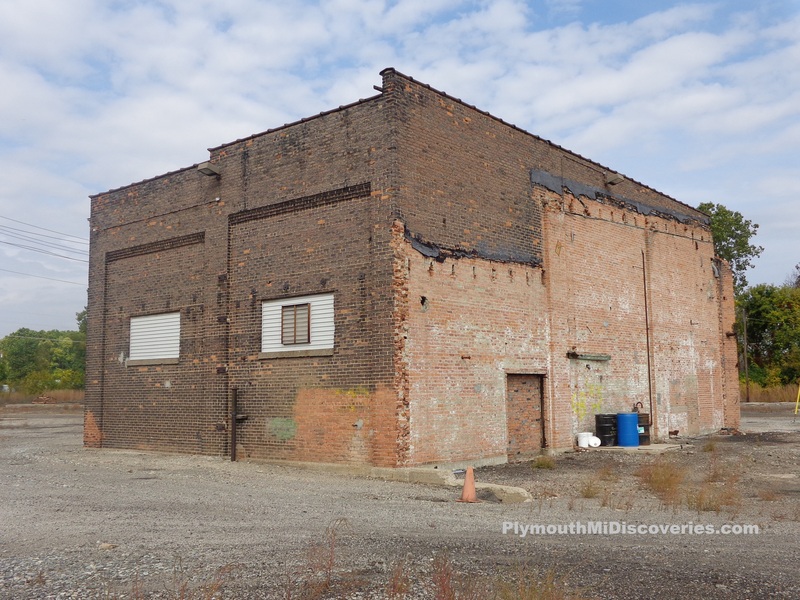 Plymouth’s historic Roundhouse Remains. Built in 1921 by the Pere Marquette Railroad. Plymouth is one of the few communities that actually has both a North/South and East/West set of Railroad lines running through it. 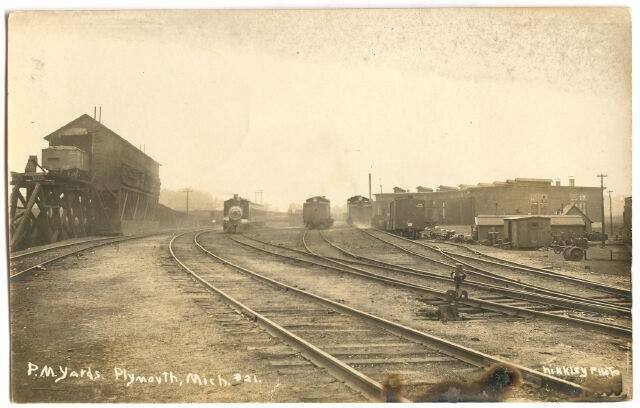 In the late 1800s and early 1900s Plymouth was a very busy Railroad community not only with the Train traffic but also many local residents worked for the Railroad. There have been 2 prior roundhouses built before 1921 that were razed several years ago. The location where the tracks intersect with each other is referred to by many as a Diamond. 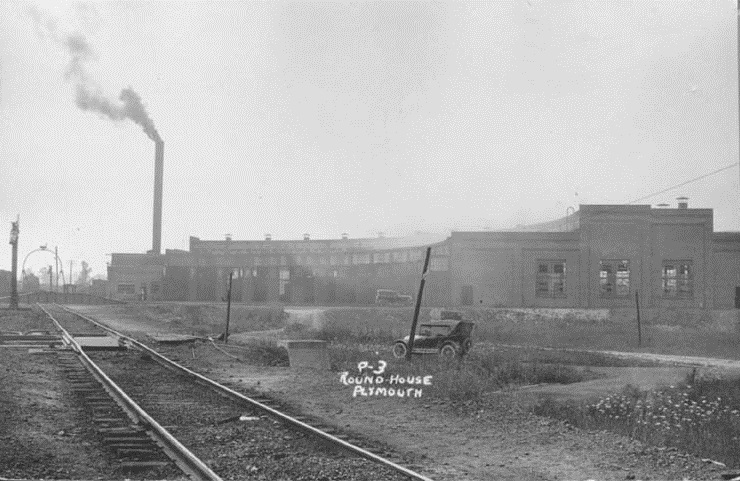 In 1921 the Pere Marquette Railroad built a 15 stall roundhouse at the North East quadrant of the diamond (where Pearl Street in Old Village comes to an end). The prior roundhouse once sat at the South West quadrant of the diamond (where Junction Street comes to an end). In 1990 it was reported that the 15 stall roundhouse had been demolished and many people in our community have thought it was completely gone forever. We have discovered that a piece of that 15 stall roundhouse still stands. Please keep in mind that this structure is NOT on public property therefore is punishable with a fine up to $5000 by CSX Railroad if you are caught on the property where this building stands. Below (left) is a photo of the Pere Marquette 15 stall roundhouse. The smaller photo on the right is of the older Roundhouse that once stood at the South West quadrant of the RR intersection.